The purpose of an antenna is to provide a good picture and sound quality to the viewers. Even though the designs of antennas serve the same purpose, but still there are two types of antennas as per user preference. An indoor antenna is a kind of TV antenna which is placed indoor to avoid mounting on the roof. Indoor antennas are a preferable choice for the ones who want to avoid cord cutting. There are other commercial options also, but indoor antennas are cheaper and simpler to install. People who use indoor antennas for a long time say that there is nothing better than having an indoor antenna. It gives better reception than outdoor antennas but with limited channels. They only work well when the antenna is near the broadcasting transmitter. Otherwise, you will see a blurry screen and distorted sound. Another thing that is important to mention here is that sometimes building material and geographical location becomes an obstruction in catching the channel signals. Make sure that your building and area is friendly for indoor antennas. An indoor antenna is prone to pick up electrical noises if there are other electrical appliances nearby; for example, a fridge or a microwave. Other devices can interfere with analog reception. Moreover, if the indoor antenna is set for digital broadcasting, then noise does not remain an issue. Most of the popular channels today are giving digital broadcasting, which is making indoor antennas a preferable choice. However, they are not as efficient as outdoor antennas. The common types of indoor antennas are dipole which looks like rabbit ears and loop antennas. 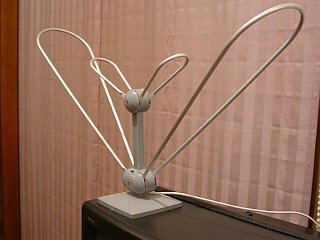 Indoor antennas work best if they are set near the TV set. The length of indoor antennas is adjustable. In the case of you are unable to find the right spot for the antenna, and then you will never get the picture and sound quality you are looking for. The preferable length is one-half of the wavelengths of the signal. If you can afford an expensive antenna, then getting an outdoor antenna would be a better and long lasting decision. Don’t forget to check this out: Must Have Features in an HDTV Antenna. Outdoor antennas are also known as the television antennas or TV aerial. The design of outdoor antennas focuses on the reception of over the air broadcasting television signals. These signals are transmitted at a frequency from 41 to 250 MHz in VHF band and up to 960 MHz in UHF band. Outdoor antennas have mount with them, which helps to place them at the top of the house roof. They are expensive as compared to the indoor antennas because they provide access to some channels along with the digital reception. You will not have to pay any money for cable or satellite. You can get clear signals from an outdoor antenna. People who wish to have access to their favorite channels in fringe areas far from the television stations must buy outdoor antennas. They have better range as compared to the indoor antennas. 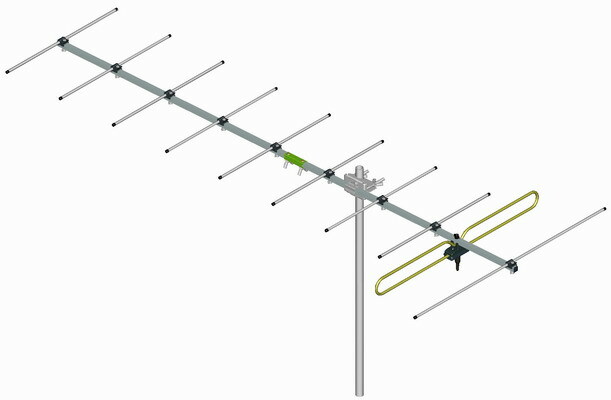 The types of outdoor antennas are a log periodic and yagi. For UHF channels reflective array antenna is preferable. You can find these antennas online or visit the nearest store. Make sure you know your channel requirement before you make the final choice.